Change agents are individuals within organizations who influence change without having direct authority over people who are going through the change. The following are ten things that effective change agents use to influence change in their organizations. Change agents are the people in their organizations who understand how change works – or at least how it is supposed to work. Your own change knowledge helps you know what to expect and understand what is really happening. When the initiative is stuck in a rut, your knowledge helps you generate ideas for what to do next. A lot is said about the importance of a clear vision. In addition to making sure leadership has a vision and that it is clear, change agents also assess current reality and identify the barriers that stand in the way of achieving the vision. When used correctly, your role as change agent can be a powerful tool. As trusted advisor, you help leaders fill in the gaps to ensure that change happens. It is necessary to strike a balance of ownership of the initiative and to manage relationships. People who have power are able to take action, make decisions that affect other people, model behavior and open minds. Since change agents don’t have direct authority, they need to build up indirect authority to influence others. Also, since you don’t have direct authority as a change agent, you need to gain a partner who does have it. When you have leadership support, you need to make sure it manifests as behaviors and activities that drive the change forward. If you don’t have support, you will eventually need to get it. The one-on-one conversations you have as a change agent will help get beyond fear and develop mutual understanding. Conversations are a means of providing feedback and preserving relationships. The most important conversations are the ones you don’t really want to have. Most meetings are seen as drudgery, or necessary evils; however, when effective they can be a key means of moving a change initiative forward. Whether you are meeting with a project team, a leadership team, or a work group or a steering committee, your job as the change agent is to make sure people are collaborating for results. Without having direct authority, you will most likely not hold people accountable yourself. As a change agent, your responsibility is to make sure a system of accountability is in place. Although incentives can be tricky because they frequently have unintended consequences, effective change agents find ways to motivate desired behaviors or results. The best motivation techniques are not external rewards but psychology-based nudges in the right direction. Some say the first law of change is communicate, communicate, communicate. To be more specific, the key activity for change agents is to get the appropriate message to the right person and to have them do something about it. 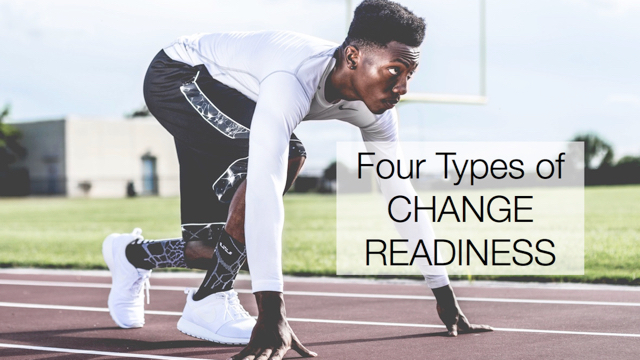 Whether you are executing strategy, implementing technology, designing process improvements, or transforming culture, your role as change agent is fraught with challenges. Use these ten tools to help navigate them successfully.